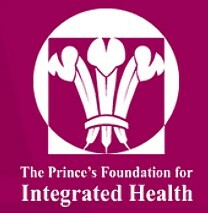 Today the Prince of Wales’ Foundation for Integrated Health (FIH) announced that it was to close its doors. The announcement follows recent revelations about the FIH’s finances, sources of income for at least one of their more notorious projects, and the police investigation into allegations of serious fraud at the charity, including the arrest of at least one ex-staffer. Though the announcement states that the closure of the charity was “already planned”, it acknowledges that it has been brought forward by the ongoing police investigation. The story has already attracted coverage in the media – both mainstream and scientific/medical – and on the blogs. Some links are at the end. However, as yet, no-one has penned a valedictory poem. Though I suppose it is possible Poet Laureate Carole Ann Duffy will rise to the challenge in due course, in the meantime I thought I would have a go. Which latter version would have the neat acronym – at least for anyone who has ever studied French at school – RIRE. In which Dr Aust sets a small – though not quite homeopathically small – test. I had meant to post something for World Homeopathy Awareness Week (WHAW), which was last week. However, I got a bit distracted by other things, like the dropping of the BCA’s lawsuit against Simon Singh (including whether the BCA had been reading my mind). I was also hampered by the fact that, whenever I think about writing anything MORE about homeopathy, I tend to find myself losing conciousness. Or the will to live. This partly reflects just how many words – undoubtedly running into the tens of thousands – I have expended on homeopathy, both on this blog and elsewhere, right back to around four years ago when I started commenting on Ben Goldacre’s Bad Science blog (e.g. here). But, though WHAW 2010 has now been properly homeopathically diluted into the infinity of time, I would still like to do my little bit to mark its passing. So I thought I would offer you a small literature comprehension exercise. And as it is coming up to the summer exams season in Dr Aust’s University, I have formatted it in something like our house style. Paper A – Is a Unified Theory of Homeopathy and Conventional Medicine Possible? One of the two is a spoof. One of them is not. Now, you might feel, having completed that exercise, that any further comment is superfluous. But here’s one. “Only two things are infinite…..
Mostly or all A: Oh dear. Your grip on reality is somewhat tenuous. You may even be a homeopath. Although you could be a chiropractor. Or Prince Charles. Mostly or all B: While you have some grasp of reality, you need more scepticism. A copy of Ben Goldacre’s book Bad Science might make good bedside reading. Mostly or all C: You are probably a skeptic, or a scientist, or even both. May the Flying Spaghetti Monster lead your path toward enlightenment. Or the bar. The Catholic church has not been having a good time of late. There is the global furore over the long-standing problem of child abuse and sexual molestation of children by priests and by members of lay Catholic educational organisations. Then there is the growing clamour about the inability of the Church hierarchy, right up to the Pope, to see that their prioritising of the church’s image and “public propriety” over abused children’s well-being and rights is viewed by most people as utterly abhorrent. Then there is the phenomenon that part of this inability to grasp the issue periodically manifests as Catholic Church grandees lashing out with ludicrous “Epic Fail” comparisons, likening the ire directed at them to the persecution of the Jews (see here) or alternatively constructing ridiculous conspiracy theories. And some of the UK papers have been having fun reporting the story that some atheists might try and stage a “Citizen’s Arrest” of the Pope when he visits the UK (exploding volcanoes and others “Acts of God” permitting) later this year (see discussion at Heresy Corner). In among all this ongoing meltdown, the Catholic Church clearly has bigger fish to fry than the UK general election. However. religious, and more specifically Catholic, prejudice has now raised its head in the campaign with a bizarre and spiteful attack by Daily Telegraph columnist, and prominent lay Catholic, Cristina Odone on Dr Evan Harris MP. Odone’s article can be found here. Do read it quickly if you are interested, as I rather wonder how long it will stay up. It also has a marvellous comments thread testifying to many people’s evident disgust at Odone’s labelling of Harris as “Dr Death”. Some readers may remember that this was the sobriquet directed at Harris by the People’s Medical Journal Daily Mail during the debate over the Abortion time limit a couple of years ago (coverage on this blog can be found here and here). In which Dr Aust wonders if the BCA’s PR people are “channeling” his thoughts. The blogosphere (and indeed the mainstream news media) is aflame with the news that the British Chiropractic Association has dropped their libel claim against Simon Singh. They served a “Notice of Discontinuance” this morning. Though the financial situation is still to be revealed/resolved, it seems likely that the BCA will have to meet most of Simon Singh’s legal costs, which may well run into a couple of hundred grand. Over the last couple of weeks bloggers had been speculating about what the BCA would do after the Court of Appeal’s landmark judgement. Dr Aust had even laid out a likely course of action for the BCA were they to decide to bail out. I thought it might be interesting to show you this, and then what the BCA have actually said today. (iii) given protracted nature of legal proceedings… we are persuaded that the financial burden on our members… need the money to do important work promoting chiropractic… etc etc. All done by press release w/out taking questions. Arguably outside the Skeptosphere it will all be a storm in a teacup. Of course, notwithstanding their large tab, the BCA’s PR team seem thus far to be as sharp in their judgement as the BCA’s lawyers. So that was the prediction. Having carefully considered its position in the light of the judgment of the Court of Appeal (1st April 2010), the British Chiropractic Association (BCA) has decided to discontinue its libel action against Simon Singh. As previously made clear, the BCA brought the claim because it considered that Simon Singh had made a serious allegation against its reputation, namely, that the BCA promoted treatments that it knew to be “bogus”. The Honourable Mr Justice Eady, the UK’s most experienced defamation judge, agreed with the BCA’s interpretation of the article and ruled that it made a serious factual allegation of dishonesty. The Court of Appeal, in its recent judgment, has taken a very different view of the article. On its interpretation, the article did not make any factual allegation against the BCA at all; it was no more than an expression of ‘honest opinion’ by Simon Singh. While it still considers that the article was defamatory of the BCA, the decision provides Dr Singh with a defence such that the BCA has taken the view that it should withdraw to avoid further legal costs being incurred by either side. As those who have followed the publicity surrounding this case will know, Simon Singh has said publicly that he had never intended to suggest that the BCA had been dishonest. The BCA accepts this statement, which goes some way to vindicating its position. The BCA takes seriously its duty and responsibilities to members and to chiropractic patients. The BCA has considered seeking leave to take this matter to the Supreme Court and has been advised there are strong grounds for appeal against the Court of Appeal judgment. However, while it was right to bring this claim at the outset, the BCA now feels that the time is right for the matter to draw to a close. More media information from Carl Courtney on 07785 397321 but no new information will be given. Now, I will make no claims for my own future-predicting powers, or PR wizardry, as the likely structure of the retreat was pretty obvious to anyone who has been following the case. But more than that, the BCA have now made it more, not less, likely that overreaching claims by alternative therapists will be publicly challenged in blunt terms from here on out. This is because the legal result of the BCA’s suit has been to leave us with a judgement from the Court of Appeal’s senior Justices that makes very clear their view that scientific debates should not be settled in the courts. While how much of this view is “legally binding” is open to discussion (which inevitably will probably be discussion by highly paid lawyers), the net result in practise seems certain to be that chiropractors, and other alternative medicine types, are less likely to try suing critics to silence them in future. We know Simon [Singh] is prepared to lose his own money on a point of principle. We know [this] since he kept going after Eady’s initial ruling, when his lawyers almost certainly advised him that he was now highly likely to lose the case at trial, that the appeal on meaning was a long shot, and that the “percentage” choice would be to cut his losses and offer a limited apology. And all scientists, and indeed everyone who opposed libel being used to silence criticism, owes him a debt.